[prMac.com] Atlanta, Georgia - CleverFiles has acquired Pandora Recovery and is proud to offer the most powerful file recovery software on the internet. 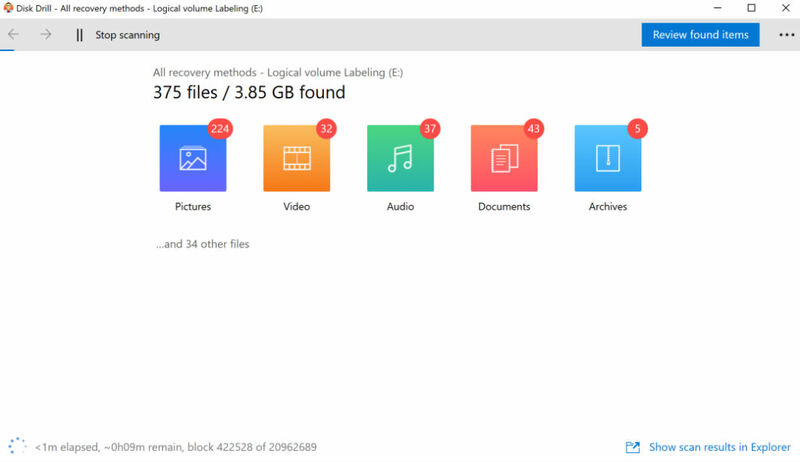 Users now have access to unprecedented powerful tools to locate, recover and protect files on their computers. As of today Pandora Recovery is now called Disk Drill, the Disk Drill software by CleverFiles will replace Pandora Recovery for superior file recovery and restoration. CleverFiles is an incredibly powerful software recovery solution available for both Windows & Mac, we are excited to announce we will be offering a limited time discount for users who wish to upgrade to Disk Drill PRO or Enterprise. This limited time offer is almost unheard of at CleverFiles and we are obliged to share our solution with home and business users everywhere for a discounted price. CleverFiles will be offering a discount to all Pandora Recovery users who are ready to migrate to the future of file recovery. In addition to the limited time discounts we are extending a special offer raising the free data recovery cap available in Disk Drill for Windows. You will now be able to recover up to 1GB (extended from 100MB) with the Windows version of CleverFiles at no charge! We are very excited to present such a great deal to Pandora Recovery users. CleverFiles also offers a powerful Mac edition of our Disk Drill file recovery software, save half off when you purchase both the Windows & Mac edition together. CleverFiles is dedicated to file recovery, their team has developed an outstanding software solution which not only helps recover lost or deleted files, but also ensures future restoration when files are deleted thanks to its important features such as the Recovery Vault and Guaranteed Recovery which store valuable information about files that are erased to ensure fast and easy file recovery should the inevitable happen. CleverFiles is the go-to name in file recovery. Founded in 2009, Atlanta-based CleverFiles quickly became a leader in cutting edge file recovery. With cross-platform (Windows/Mac) recovery solutions and an unrivaled recovery success rate. CleverFiles produces easy to use software which is also capable of recovering files from Computers, SD Cards, USB Drives, Digital Cameras, Mobile Phones and many more devices. Copyright (C) 2001-2017 Cleverfiles Software. All Rights Reserved. Apple, the Apple logo, Mac OS X and macOS are registered trademarks of Apple Inc. in the U.S. and/or other countries.